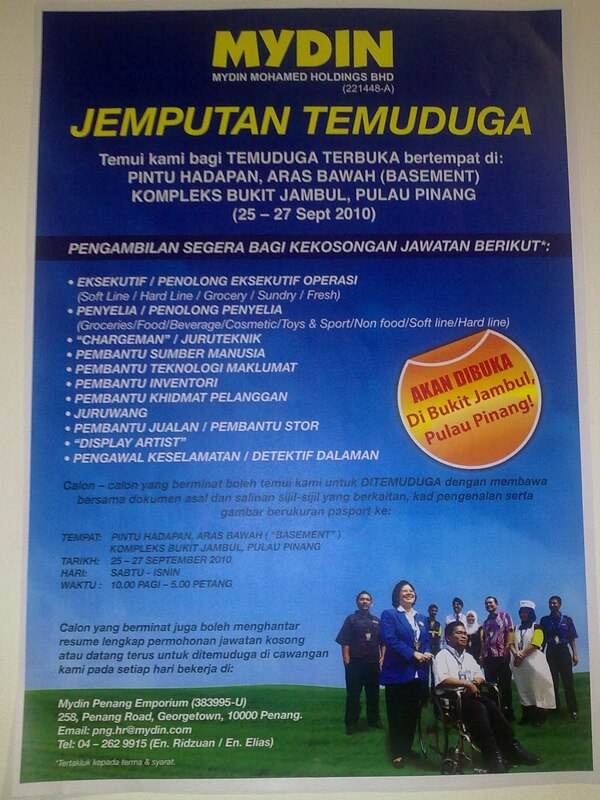 VACANCY! 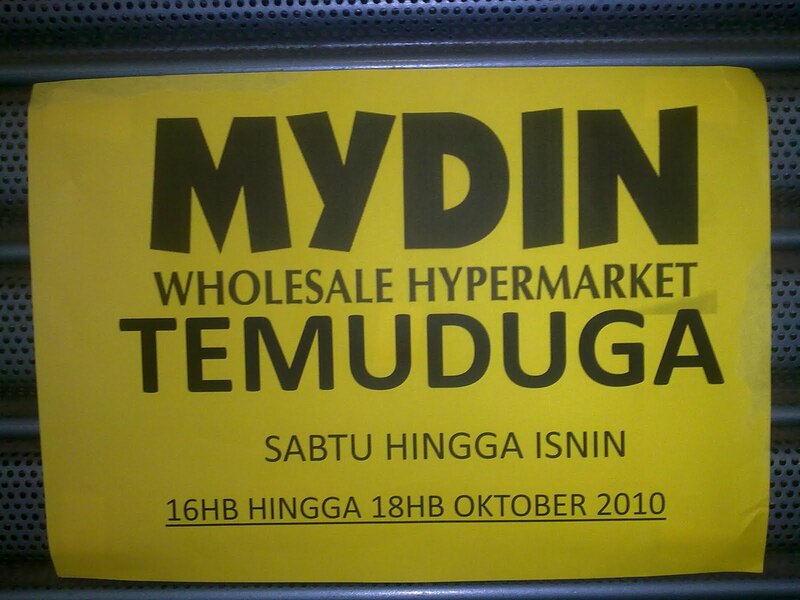 Mydin will open at Kompleks Bukit Jambul, Pulau Pinang. 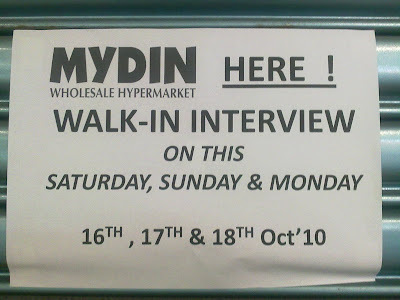 Many new posts are offered. 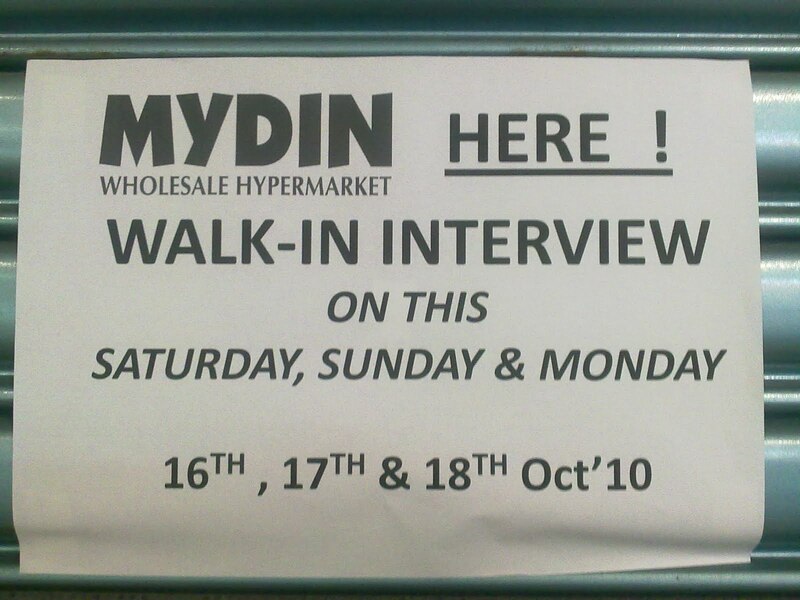 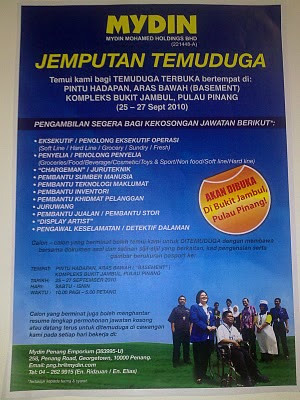 Come to walk in interview on this Saturday - Monday, 16 - 18 October 2010.